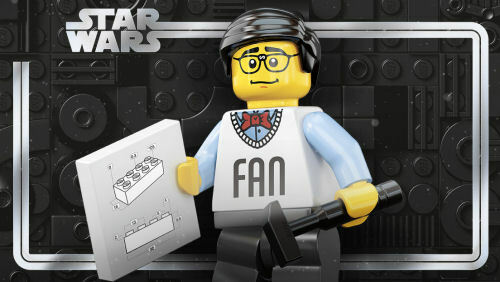 LEGO House is hosting a special, one-off LEGO® Star Wars fan evening and the invitations list is wide open. If you find your calendar is empty on March 29th and you fancy a trip to Denmark, you too can enjoy a cozy fan evening in LEGO House - home of the brick - to celebrate the 20th anniversary of LEGO Star Wars. The evening event - which starts at 4 pm and ends at 8 pm - will consist of a mix of interviews with key LEGO Star Wars people, photo opportunities, hands-on building activities and time to chat. All of this, and dinner too, is yours for the price of 449 DKK (approximately US$70). To book your tickets visit the LEGO House What's On page, scroll to the calendar at the bottom, select the "Star Wars Anniversary Fan Evening" option on March 29th, choose how many tickets you want and then complete your purchase. The evening is best suited for participants 16+.